Mendoza's Paint & Remodeling has been a cabinet refinishing painter of choice for years. Get a whole new look for your kitchen or bathroom with newly stained or freshly painted cabinets, for a fraction of the cost of replacing them. Mendoza's Paint & Remodeling offers quality and affordable cabinet painting so that you could bring your kitchen or bath up to date at an affordable price. Get that kitchen makeover that you’ve wanted! Our skilled cabinet painters from Mendoza's Paint & Remodeling will sand and strip the cabinets, repair any cracks or dents, complete the proper prep work and then apply top quality stain or paint. The result is beautifully finished cabinets that exceed your expectations and fit your budget. 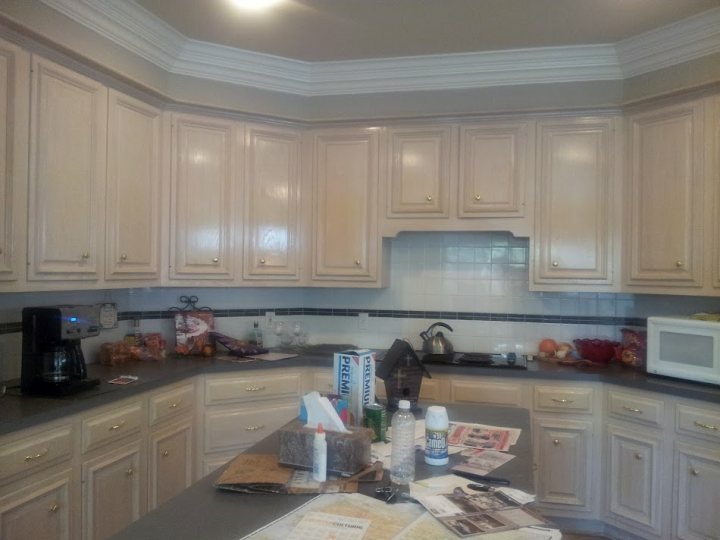 Mendoza's Paint & Remodeling will give your old cabinets new life! The word is out that refinishing cabinetry is one of our specialties. Style is everything these days! Kitchen cabinet refinishing takes the expertise and attention to detail that Mendoza's Paint & Remodeling is known for. We will refinish cabinets to compliment the style of your existing kitchen or create that brand new look you’ve been wanting. Is your kitchen outdated? Refinishing kitchen cabinets is the best way to revive good, solid cabinets, while updating the look and feel of your kitchen. Get that “designer-look” at a price you can afford. Call us. It’s the perfect opportunity for you to enhance the heart of your home with Mendoza's Paint & Remodeling. Mendoza's Paint & Remodeling cabinet refinishers can add some spark to your dated bathroom. Due to the versatility of paints, stains, glazes and finishes, cabinet resurfacing is a breeze when you trust Mendoza's Paint & Remodeling to do the job. The dependable crew at Mendoza's Paint & Remodeling are exceptional at cabinet staining and repainting cabinets for bathrooms. Let our experienced cabinet refinishers use their professional techniques and talents on your bathroom cabinets and reclaim their beauty. Your bathroom vanity will never look better with one of our quality finishes. Call Mendoza's Paint & Remodeling for painting cabinets in any room. Let us tackle that painting project for you! With years of painting experience, our craftsmen are unparalleled in delivering beautiful refinished cabinets to the delight of many home owners. Let us enhance the look of your existing cabinets while extending the lifespan of your original investment.